When it gets hot, I think about water and cruising on a boat on water. No such luck in deserty Tucson, but here’s an alternative, a summer art cruise around downtown…in the cool of the evening. 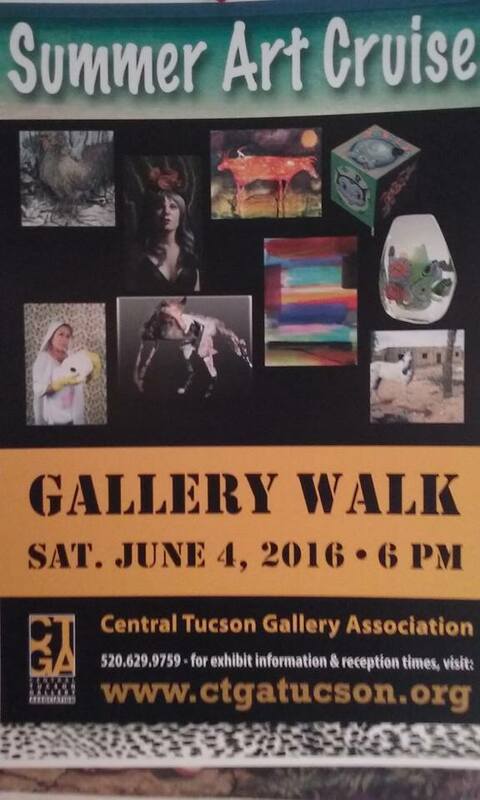 Check out the 9 art venues listed at www.ctgatcsun.org (Central Tucson Gallery Assn.) for hot summer deals on June 4, from 6 to 9 p.m.